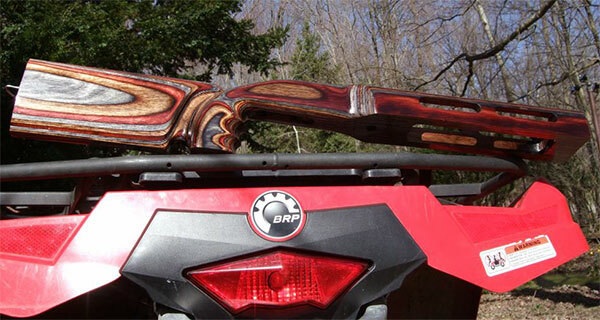 A while back, Forum member Preacher crafted a nice varmint rifle for fellow Forum member Dave 0. (aka “Waskawood”). But rather than buy an off-the-shelf stock, Preacher crafted this stock all by hand, starting from a laminated blank panel. 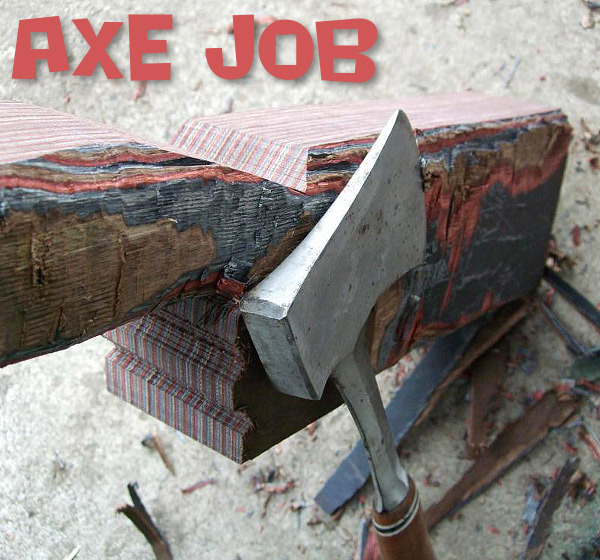 He calls this stock project his “Axe Job”. This stock is being used on a prairie dog rifle, chambered for a 17-caliber wildcat, the 17 VHA, which is based on an H&K 4.6x30mm parent case. 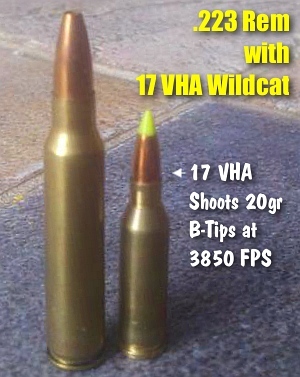 With about nine grains of 300 MP pistol powder, the 17 VHA drives 20-grainers at about 3850 fps. (SEE details at end of article). 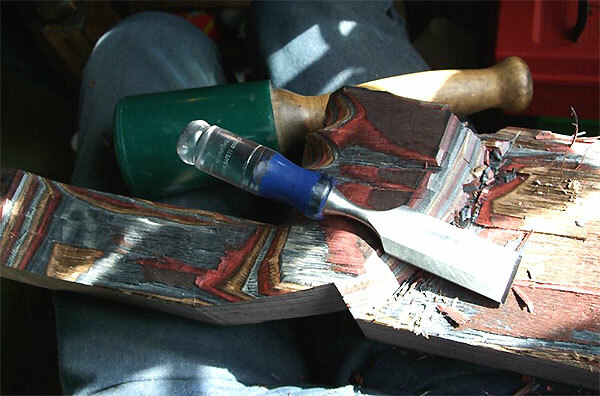 I like carving with the laminates because all the lines are right there in front of my eyes, so it’s easy to follow along and get it just right, until it’s pleasing to the eye. I never use a template, I just keep checking the lines as I go along. I have all the needed equipment to power build one of these, but I really enjoy the time spent on the hand work. From start to completely ready-to-install, I’ll have about six (6) weeks into one of these stock projects. A lot of that is drying time for the clear coats. The majority of the laminated blank panels I use for my gunstocks are purchased directly from Cousineau Wood Products or from Rutply.com. You have to buy at least four full panels at a time, all the same color, but that will yield eight (8) stocks. Seems like I have a little over $150.00 in a blank large enough to start making a full-sized, benchrest-style stock. The one main advantage of being older that dirt, and tormented with MS the past 40 years, is lots of free time to enjoy what ever I can do these days, as long as I can set down to do it, and I can make a lot of wood chips setting down. Any one can do this if they have the time to devote to it. 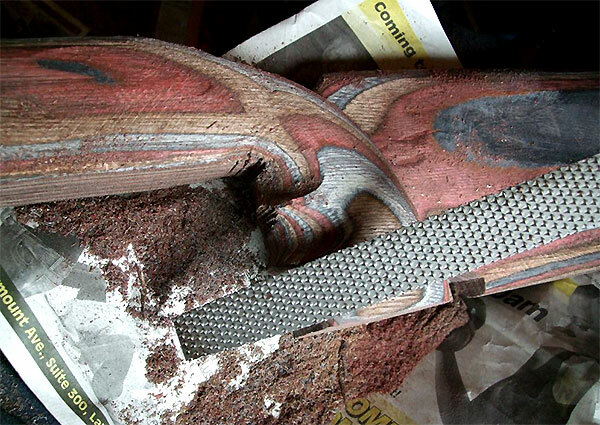 All it takes is time and a good eye for details. 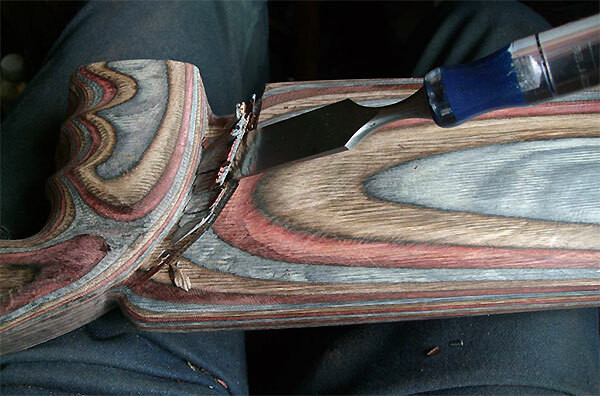 I made a lot of firewood over the years, until I got the hang of it. Most all those problems were inletting, and screw hole spacing. Get those right the first time and you’re on your way…. 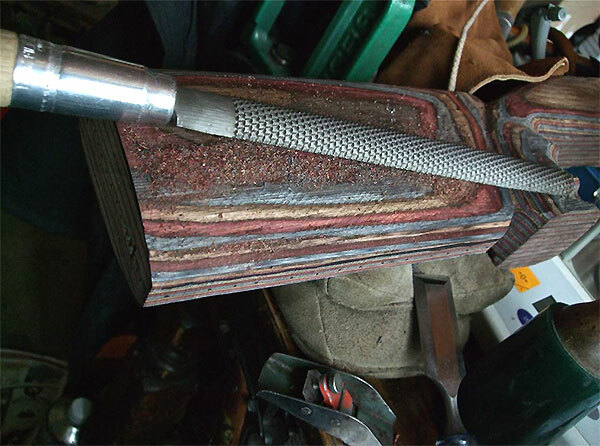 Share the post "Preacher’s ‘Axe Job’ — Crafting a Gunstock with Hand Tools"